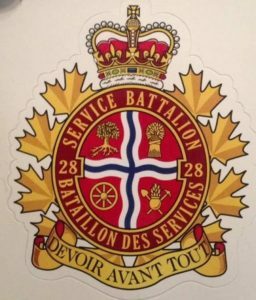 The Ottawa Service Battalion Association (OSBA) operates a small Regimental Collection (Museum) at the Armouries on Walkley Road. If you wish to donate any uniforms, badges and/or equipment (NO live ammunition or active firearms please!) to our collection, we would be happy to pick them up at your house or place of business. Simply send an email to vicepresident@osbassociation.ca to make the necessary arrangement. Unfortunately, we cannot offer a tax receipt for your donation.